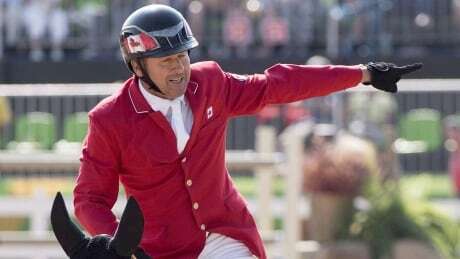 After a flawless first round, Canada's Eric Lamaze, aboard Fine Lady 5, had eight faults and a second-run time of 65.23 seconds to finish seventh overall at the CP International show jumping event. Egypt's Sameh El Dahan prevailed over the Netherland's Maikel van der Vleuten in a jump-off by 0.77 seconds after both riders had no faults. Beezie Madden of the United States finished third with a clean first run and one fault during her second run. Fellow Canadians Lisa Carlsen and Susan Horn finished 24th and 31st respectively.